"Dracula" is onstage at Hedgerow Theatre through November 22. Photo by Kyle Cassidy. 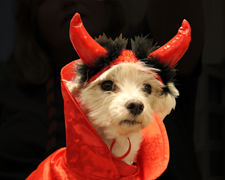 Robin Bloom shares her picks for Halloween Happenings. For its annual autumn thriller, Hedgerow Theatre takes you to the English sanitarium run by Dr. John Seward, whose daughter Lucy is experiencing a baffling illness similar to the one that took the life of her friend Mina. Adapted from Bram Stoker’s gothic novel in 1924, the chilling production of Dracula is onstage through November 22, directed by horror movie buff and co-founder of the Philadelphia Artists’ Collective, Dan Hodge. With J Hernandez in the title role, Ned Pryce as Jonathan Harker, Meghan Winch as the maid, and Jennifer Summerfield, John Lopes, Mark Swift, Allison Bloechl, and Josh Portera, 64 Rose Valley Road, Rose Valley, PA. Photo by Kyle Cassidy. 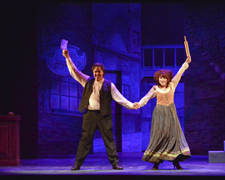 Stephen Sondheim’s Sweeney Todd: The Demon Barber of Fleet Street takes to the stage at the Candlelight Theatre. The Tony Award-winning dark, thrilling musical comedy about vengeful Benjamin Barker, who returns to 19th century London after 15 years in prison on trumped-up charges to open a barber shop above a failing pie shop. Directed by Bob Kelly and starring Patrick O’Hara as Sweeney Todd, with Catherine Ard, Zachary Chiero, Joelle Teeter, Anthony Connell, and David Wills, 2208 Millers Road, Wilmington, DE. All tickets include dinner and the show. Photo by Cindy Millison. 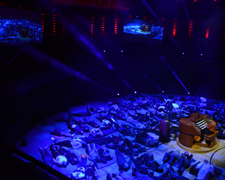 Experience the Kimmel Center’s Fred J. Cooper Memorial Organ in a whole new way with the Halloween Organ Extravaganza, Friday, October 30, 9:30pm, performed by three organ virtuosos, Peter Richard Conte, Chelsea Chen, and Christopher Houlihan. Program includes Duruflé’s Toccata, from Suite, Grieg’s In the Hall of the Mountain King, Suite No. 1 from Peer Gynt, Dukas’ The Sorcerer’s Apprentice, Webber’s Suite from The Phantom of the Opera, and more, with theatrical lighting and video projections. Wear costumes and even go onstage to “feel” the low notes of the instrument after the show (bring a towel or blanket to lie on). Enjoy a Halloween Costume Party on Saturday, October 31, 11:30am, as members of the Philadelphia orchestra put on musical costumes to tell magical stories, with Michael Butterman conducting a fun program for all ages, Verizon Hall, Broad Street, Philadelphia. Photo by Pete Checchia. The Rosenbach of the Free Library of Philadelphia celebrates Halloween with The Growth of Stoker’s Dracula, a chance to get up close and personal with Bram Stoker’s hand-written notes for the novel and a discussion about the classic, Friday, October 30, 3pm-4pm. Join a Literary Costume Party, Saturday, October 31, 6pm-9pm. 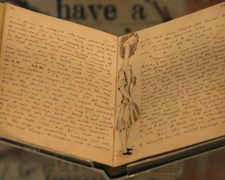 Dress as your favorite literary figure and see some of the spookiest items in the collection as well as the new exhibit Down the Rabbit Hole: Celebrating 150 Years of Alice in Wonderland (pictured), 2008-2010 Delancey Place, Philadelphia. Photo by Emma Lee. 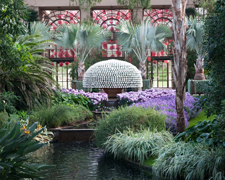 Longwood Gardens’ annual Chrysanthemum Festival is on view through November 22, offering more than 16,000 blooming mums, including the largest Thousand Bloom Mum outside of Asia (pictured), which showcases more than 1500 white blooms. 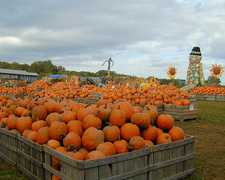 Also, take tours, see the Garden Railway, visit the Children’s Corner to see, touch and take a photo with the pumpkins. Don’t miss the largest pumpkin on display, weighing in at more than 800 pounds, 1001 Longwood Road, Kennett Square, PA. Photo by Larry Albee. 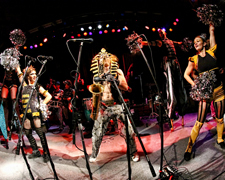 Philadelphia Museum of Art’s Art After Five Halloween Party is Friday, October 30, 5pm-8:45pm with a dance party and spooky cocktail bar, DJ Diamond Kuts, fashion students from Philadelphia in their original Halloween costume designs inspired by the collection, and more, 2600 Benjamin Franklin Parkway, Philadelphia.South Street Headhouse District’s new fall festival, PumpkinFest, is Saturday, October 31, 12pm-5pm, offering live music, trick-or-treating for the kids, circus performers, shopping, pumpkin painting, hay rides, and much more in Headhouse Plaza, between Pine and South Streets, Philadelphia. Free. Then, join the Day of the Dead Parade on Sunday, November 1 beginning at 1pm outside Philadelphia’s Magic Gardens, 1020 South Street, Philadelphia. 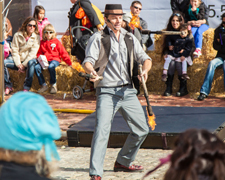 Photo courtesy of South Street Headhouse District.Put on your costume and head to the Independence Seaport Museum for the Seaport Spooktacular, Friday, October 30, 6pm-10pm, a parents’ night out (for kids ages 5-12) with hands-on activities, games, snacks and more, including an opportunity to explore the exhibits. Get onboard the historic haunted landmark ship Olympia for ghost tours and tales! October 31 is Seafarin’ Saturday, 11am-1pm, a family friendly event with Halloween-themed activities, 211 S. Columbus Boulevard, Philadelphia.Please Touch Museum hosts a Halloween Hoopla, every day through Saturday, October 31, 9am-5pm, with character appearances, theater shows, painting with “disgusting critters,” craft activities, science, storytime, dance party and more, Memorial Hall, Fairmount Park, Philadelphia.Join the fun at Stenton’s Halloween Harvest Festival, Saturday, October 31, 1pm-3pm, with games, crafts, pumpkin painting, haunted cellar tour, and more, at the historic house built by James Logan, William Penn’s secretary between 1723 and 1730, 4601 North 18th Street (corner of 18th and Windrim Streets), Germantown. Come in costume! Check out Ghosts of the Great Road, an interactive ghost walk and live paranormal investigation of Philadelphia’s most haunted and historic neighborhood, on Saturday, October 31 at two starting points: Germantown Historical Society and Upsala, 3pm and 6pm.Philly Art Center’s 9th annual Halloween Festival is Sunday, November 1, 2pm-4pm, with art-making stations, interactive music for kids, and the costume parade at 4pm, 2501 Olive Street, Philadelphia. Fort Mifflin invites visitors to experience the Fort after dark at special events and programs including Candlelight Ghost Tours, Friday, October 30, 7pm, Trick or Treating with the Ghosts, Saturday, October 31, 10am-4pm, and an overnight with the Ghosts, Saturday, October 31, 7pm through Sunday, November 1, 8am, Fort Mifflin & Hog Island Roads, Philadelphia. 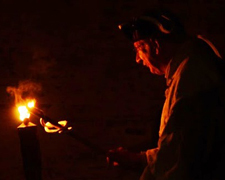 Photo courtesy of Fort Mifflin.Take a Ghost Tour of Philadelphia by candlelight and discover the secrets of America’s most historic and most haunted city. Tours depart from Signers’ Garden at 5th and Chestnut Streets, Philadelphia.The Historic West Laurel Hill Cemetery hosts True Tales from the Tombs: Mischief Night by Firelight, true stories of the Cemetery’s most provocative and memorable permanent residents, Friday, October 30, 7pm, with one hour candlelit tours departing every half hour through 9:30pm. Bring your own flashlights! On Saturday, October 31, 1pm-3pm, is Fall Family Day: Halloween Picnic and Parade with arts and crafts, a pumpkin patch, Halloween games and goodies, and stories, for children ages 4-12, 3822 Ridge Avenue, Philadelphia.Graeme Park hosts Moonlight Tales with author and paranormal investigator and Grim Philadelphia tour guide Laurie Hull for spooky stories in the candlelit parlor of the Keith House, Friday, October 30, 7pm and 8pm, 859 County Line Road, Horsham, PA. Includes snacks and bonfire (weather permitting). 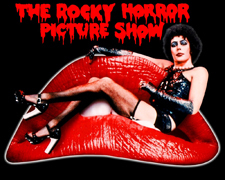 Celebrate the 40th anniversary of the Rocky Horror Picture Show at Bucks County Playhouse, with five screenings of the cult classic, Friday, October 30, 7pm and 11pm and Saturday, October 31, 2pm, 7pm, and 11pm. All tickets include a prop bag to participate and play along and costumes are encouraged, 70 S. Main Street, New Hope, PA.See the classic horror film Vampyr (dir. Carl Theodore Dreyer, Denmark, 1932, digital, 73 mins. b/w, German with English subtitles) with a Halloween screening Saturday, October 31, 7pm, International House Philadelphia, 3701 Chestnut Street, Philadelphia. 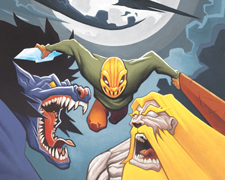 The Locust Moon Comics Festival is back for Halloween, Saturday, October 31, 10am-6pm, an annual celebration of comics, illustration, and graphic arts. This year’s event features visiting artists Craig Thompson, Mark Beyer, Chris Claremont, Noah Van Sciver, David Mack, Bill Sienkiewicz, Dean Haspiel, Ronald Wimberly, Alexa Kitchen and Denis Kitchen, as well as others making their festival debut including Aremo Massa (pictured: The Remnants #5). 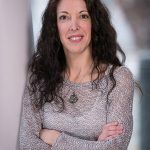 Events include workshops, children’s activities, panels and discussions on the art, business, and history of comics, at The Rotunda, 4014 Walnut Street, Philadelphia. Photo courtesy of Locust Moon Comics Festival. Head to Linvilla Orchards for PumpkinLand and autumn moon hayrides, a Jack-o-Lantern exhibit, piles of pumpkins in all shapes and sizes, fall decorations, live music, train rides, pony rides, face painting, straw bale and cornfield mazes, pick-your-own apples, candy and caramel apples, and much more, 137 W. Knowlton Road, Media, PA. Free. 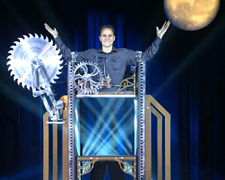 Illusionist David Caserta debuts his latest original invention – that will cut himself in half – during his Halloween performance, Haunted Illusions, at the State Theatre, Saturday, October 31, 7pm. Come in costume for a pre-show contest for prizes and look forward to audience participation, 453 Northampton Street, Easton, PA. In time for Halloween, Roxey Ballet stages a dance adaptation of Bram Stoker’s Dracula, with performances through November 1. Parental discretion is advised as the contemporary ballet company interprets the story with pyrotechnic, sound and lighting effects, showcasing 14 professional dancers in the intimate 72 seat Canal Studio Theater, 243 North Union Street, Lambertville, NJ. Come dressed in your Halloween costume! Photo courtesy of Roxey Ballet.At the shore? Catch the Atlantic City Ballet’s annual presentation of Dracula is Halloween night, October 31 at 4pm and 10pm in the Celebrity Theater, Claridge Hotel, Park Place and Boardwalk, Atlantic City, NJ. On Halloween night in 1867, William Hunter, Jr. died in a mysterious fall from the Ebenezer Maxwell Mansion’s attic window. In the room was a doll. Since then, there have been more strange deaths in the house, and the doll is always present. A group of paranormal investigators arrive at the Mansion to solve the mystery, but end up in the middle of another haunting murder. 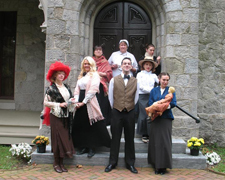 Join in the live murder mystery at the Victorian Ebenezer Maxwell Mansion, through November 1, 200 W. Tulpehocken Street, Philadelphia. Reservations required.Mechanical Theatre invites you to experience The Madness of Poe, a site-specific theatrical piece based on some of the most notable works of Edgar Allen Poe, who called Philadelphia home between 1837-1844. Experience the Master of the Macabre’s works like never before in a setting that was contemporary with Poe’s time, Historic Strawberry Mansion, through October 31, 2450 Strawberry Mansion Drive, Philadelphia. The annual Terror Behind the Walls, the massive haunted house inside the castle-like walls of the abandoned Eastern State Penitentiary, is back and scarier than ever with Hollywood-quality sets, custom-designed props, animatronics, digital sound effects and a cast of more than 200 performers in a theatrical production that consists of six haunted attractions including “Detritus,” “Lock Down,” “Infirmary,” “Machine Shop,” and the new “Inside Quarantine” 4D experience (pictured), and “Break Out” prison break. Visitors can choose whether to explore the prison passively or actively. Try the hour-long, After Dark VIP guided tour by flashlight or bring the kids (ages 7-12) on Family Nights. Ranked among the top haunted attractions in the country, “Terror Behind the Walls” is the largest and runs on select evenings through November 7 at 22nd Street and Fairmount Avenue in Philadelphia. Photo by J.R. Blackwell. The Mütter Museum makes the perfect destination for Mischief at the Mütter, Thursday, October 29, happy hour at 5pm, followed by festivities at 6pm including food, dancing, craft brews, access to the museum of medical history, which displays collections of anatomical specimens, models and medical instruments in a nineteenth-century setting. 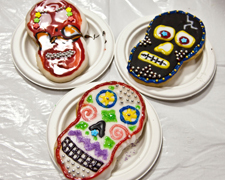 Saturday, October 31 is the annual family-friendly Day of the Dead celebration, featuring traditional ofrenda, face painting, skull cookie decorating, paper flower making, and festive food demonstrations, 10am-5pm, at the College of Physicians of Philadelphia, 19 S. 22nd Street, Philadelphia. Penn Museum’s annual Día de los Muertos celebration takes place Saturday, October 31, 11am-4pm, with traditional music and dance, family tours, storytelling, puppetry, paper maché artistry, sugar skull and mask making, face painting, special food and more. Check out the large ofrenda (altar), created by the Mexican Consulate in Philadelphia and the Mexican Cultural Center. Come in a themed-costume and join the parade and costume contest, 3260 South Street, Philadelphia. Photo courtesy of Penn Museum. The Arts Council of Princeton hosts the annual Day of the Dead Celebration, Sunday, November 1, 3pm-5pm, with strolling mariachis, Mexican paper flower making, sugar skull decorating, face painting, and Mexican food in the Princeton Shopping Center Courtyard, 301 N. Harrison Street, Princeton, NJ. Bring your own ofrenda! Photo courtesy of the Arts Council of Princeton. Fleisher Art Memorial celebrates the Day of the Dead with an elaborate altar piece in the historic Sanctuary space featuring the Día de los Muertos performance Para mis Muertos by artist Merián Soto, performances by traditional Aztec dance group Cenzontle Cuicatl, and mariachi Pedro Villaseñor, Sunday, November 1, 5pm-8pm, 719 Catharine Street, Philadelphia. On Monday, November 2, 4pm-7pm, join the celebration at 9th and Ellsworth Streets, Philadelphia. 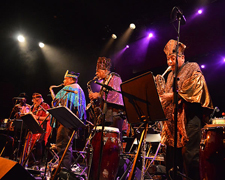 The Sun Ra Arkestra Halloween concert at Johnny Brenda’s in Philly may be sold out but you can catch them as part of Friday Night Jazz at the Woodmere Art Museum on Friday, October 30, 6pm-8pm with a Halloween Celebration. While there, check out the exhibit Things that Creak in the Night II: More Selections from the Halloween Collection of Peter Paone, on view through November 1, 9201 Germantown Avenue, Chestnut Hill. MarchFourth Marching Band brings their big band sound to the World Café Live for a Halloween concert, Saturday, October 31. Expect an entertaining show with stilt-walkers, dancers, flag twirlers, clowns, and acrobatics. Doors open at 7pm and show at 8pm. Star and Micey opens, 3025 Walnut Street, Philadelphia. Photo by Andrew Wyatt. Philadelphia’s Magic Gardens’ Black Magic Bash takes place Saturday, October 31, 7pm-10pm at Watkins Warehouse, the 9,000 square foot mosaicked masterpiece at 1002 Watkins Street, South Philadelphia. 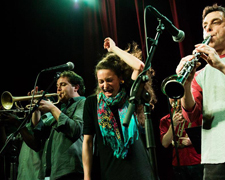 Enjoy live music by the West Philadelphia Orchestra (pictured), Mexican cuisine, witch’s brews, and more. Costumes are required. Must be 21 or older to attend.Halloween Boo-Ga-Loo offers a spooky night of music at Gloria Dei Old Swedes Church on Saturday, October 31. Grounds open at 5pm for children to enjoy pumpkin painting, trick or treating in the graveyard, and more. The music starts at 7pm with Practically In Utero (Nirvana Tribute band), Muswell Phillbillies, Primaries, and Shy Boyz, 927 S. Water Street, Philadelphia. The Halloween Spectacular at Ardmore Music Hall features Splintered Sunlight (Grateful Dead Tribute), Catullus Does Rocky Horror Picture Show, Stage Trip Productions, Friday, October 30, doors open 7:30pm, show at 8:30pm. On October 31, join in a Halloween party with Start Making Sense (Talking Heads Tribute), Swift Technique’s Funk Throwdown: Prince vs. Morris Day, doors open at 7:30pm, show at 8:30pm, 23 East Lancaster Avenue, Ardmore, PA. Philadelphia punk band the Dead Milkmen perform at the Trocadero Theatre, Friday, October 30, doors open at 7pm, show at 8pm, an all-ages show, 1003 Arch Street, Philadelphia. Catch an ’80s Halloween Party at the Steel City Coffee House, Saturday, October 31, 9pm-11pm, 203 Bridge Street, Phoenixville, PA. It’s Vileween at Burlap and Bean with the Philly-based experimental rock band Vilebred, Saturday, October 31, 8pm, the Shops at Springton Pointe, 203 South Newtown Street Road, Newtown Square, PA. The Halloween Costume Ball Rock n Roll Murdershow features six bands on two stages at Underground Arts, Saturday, October 31, 8pm, with TJ Kong and the Atomic Bomb, Satellite Hearts, Pine Barons, and Mercury Radio Theater, 1200 Callowhill Street, Philadelphia.